Remember the kid-friendly EE Robin? It was the world’s first 4G-connected tablet which was designed specifically for parents and their children. Now an updated version is available, with the new Robin adding an improved Hopster app for “digital playtime”. This app delivers 1500 episodes of kids TV shows, 100 nursery rhymes, songs and learning games. There’s no ads on the app and parents are able to easily control every part of the EE Robin – including app management and time control. The life-friendly tablet has a carry handle and kickstand so that you can prop it up easily. It also includes 40 pre-loaded games and educational apps. A tablet like this isn’t all about specs, and it runs Android 5.1, a quad-core 1.1GHz CPU, 2GB RAM, and double the storage of the original Robin. Inside you’ll find 16GB of internal storage and you can whack in a microSD card too. The screen is 7″ (sadly we don’t have the resolution) and there’s a 2 megapixel camera. If you’re interested, it’s available on a range of Pay Monthly plans starting from £17 a month. You can also get it on Pay As You Go for just £129.99. It’s a child-friendly and safe tablet with an easy-to-use parental interface, plus there’s WiFi and 4G connectivity. Head to ee.co.uk/robin for more info. 2nd November 2016, London. 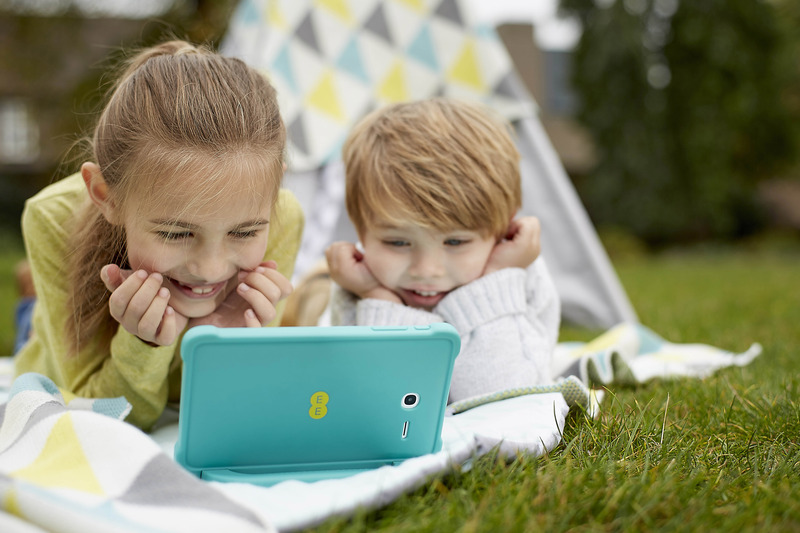 EE, today unveiled the next generation of the popular 4G tablet designed specifically for parents and their children – the Robin. Available to buy in EE stores, online and from EE telesales immediately, the Robin now comes with new single player and multiplayer motion gaming, a new and improved Hopster learning & entertainment app, a new kickstand making it easier for children to take the device with them and watch their favourite shows with their friends and family – as well as improved storage capacity. The new Robin comes with over 40 pre-loaded games, educational apps and eBooks, including hits such as Subway Surfer and Motion Sports. Motion Sports specifically allows children to compete interactively with motion gestures via the inbuilt camera. New content can easily be downloaded and added to the Robin through the Google Play app store, with every new piece requiring approval by the parent before children can access it. In addition, children get free access to Hopster, a unique digital playroom for the under 6s that combines 1500 episodes of the very best kids TV shows, learning games and over 100 songs and nursery rhymes into a single ad-free app. Kids can enjoy shows such as The Gruffalo, Ben and Holly’s Little Kingdom and Thomas and Friends alongside a specially chosen line up of learning videos designed to support Hopster’s academically-vetted curriculum. The new Robin is equipped with simple-to-use parental controls, so a child’s online experience can easily be managed. These controls include web filtering, app management and time control that empower parents to set-up bespoke user profiles. These filters can be relaxed as a child grows, giving them increased access to social networks and more age appropriate content if required. The app management system empowers parents to decide which apps are appropriate for their kids, and to restrict whichever they choose. 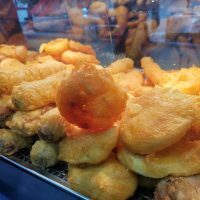 A separate time control function gives parents the option to limit how much time children can spend on the tablet or on any particular application. 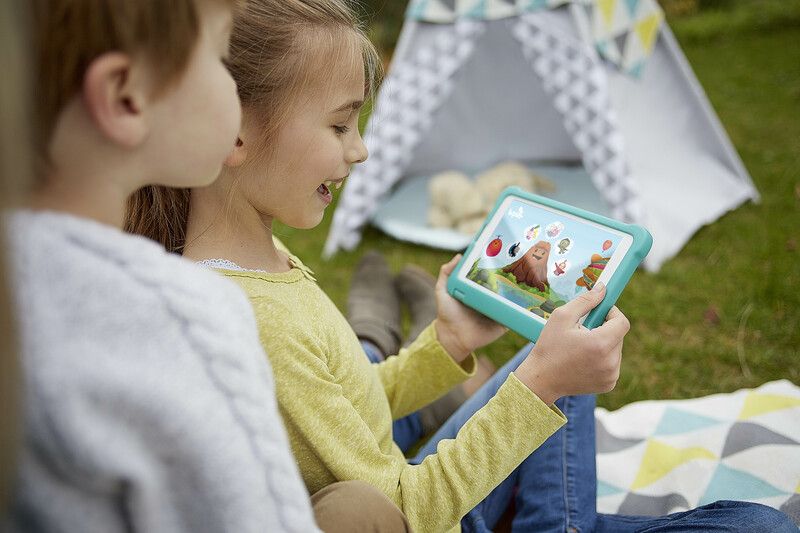 The redesigned Robin comes with a specially designed child-proof bumper with a carry handle and kickstand, making it the ideal introductory tablet for children. The perfect blend of power and versatility, the new Robin features the Android Lollipop 5.1 operating system, a quad-core processor, 2GB RAM, and 16GB internal storage (expandable to 32GB with a 16GB MicroSD card) – double that of the original Robin. It boasts a 7-inch display that’s perfect for enjoying crisp, clear videos, playing games, or reviewing images captured on the device’s 2MP rear-facing camera. The new Robin will be available for consumers nationwide from EE stores, online and EE telesales today. The Robin is available on a range of Pay monthly plans starting from £17 a month on an EE Essentials 24 month plan, and comes with 2GB data and three months of Hopster content for free. For those wanting to make the most of their tablet experience, EE is also offering the new Robin on an EE Max plan, which comes with 20GB data including EU roaming, and 24 months of free Hopster, for just £22 per month. Alternatively the new Robin is £129.99 on Pay as you go and comes with Hopster free for three months.